A passion for style has produced this sensational design. It is a well-known fact that flowers make you faster. Cut for a slim fit, the jersey has a vivid floral print on the elbow-length aero sleeves. The soft textured, breathable Italian “Ball” fabric provides temperature regulation to ensure a constant body temperature throughout your ride. Micro-mesh construction allows breathability and quickly wicks sweat to keep you dry. 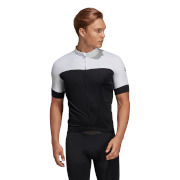 Cut for a comfortable and anatomical fit on the bike, the jersey has a permanent anti-bacterial treatment, while the use of one hundred percent natural inks prevents irritation. The jersey is constructed with minimal labels and precise hand stitching throughout to prevent chafing. Combining style and performance, the jersey provides premium all day comfort whilst catering for high performance. Bought this as a birthday present and was tempted to keep it more myself! 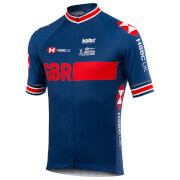 The quality and design of the jersey is absolutely fantastic and the sizing was very good. I haven't found anything at the same price point for this quality! Well done PBK. Really impressive stuff. Lovely fit and quality for a fantastic price.